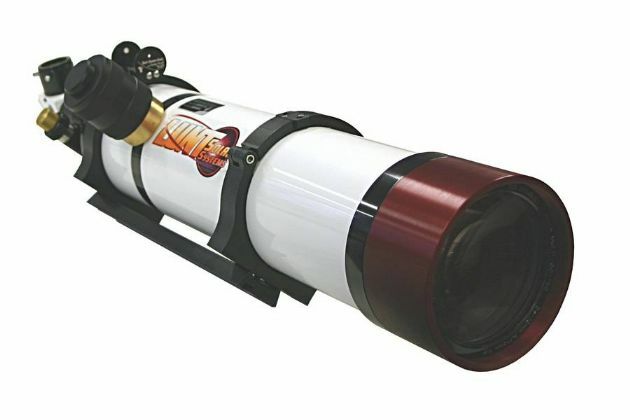 Complete H-alpha Solar Telescope with 102mm aperture and <0.7 Angstrom bandwidth. With Feather Touch focuser, new air-pressure tuning system and B1800 Blocking Filter. Blocking filter is the B1800, that is well suited for imaging. The star diagonal in which the blocking filter is installed, is equipped as standard for 1.25" eyepieces and with a T2 camera connection. Focusing is achieved with a high precision Starlight Instruments 2" Feather Touch focuser with the a 10:1 reduction as standard equipment.